There are few opportunities when studying architecture to translate your designs into built projects, except if you actively seek those projects which allow you to do so. This extracurricular project gave us an opportunity to put our design skills to the test and produce a multifunctional events space for use by both staff and future students. The theatre took about 2-3 weeks to complete and has inspired many of us to seek future projects with which we can develop our skills further. The difference between working as a team on an academic project compared to an active, built project is significant, and we have all learnt valuable lessons about both team work and designing as a result. The theatre concept originated from the study of popular natural artist Andy Goldsworthy and his technique of ‘ordering’ nature using materials found on site. Billhook Nook Theatre consists of a large sculptural roof structure designed to represent the ‘ordered’ interpretation of the surrounding woodland. 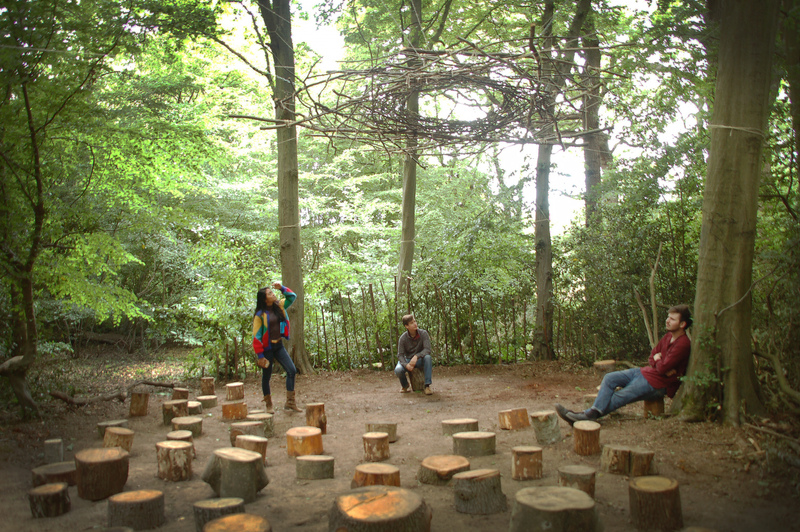 This ‘birds nest’ form is built around a triangular structural frame which is then supported using chains by the surrounding trees. The benefit of securing the structure to the trees is that the roof, although static, moves gentle with the trees in the wind adding a dynamic character to the theatre (unlike many traditional theatres). The theatre is also intended to not only draw your attention to the focal point (in this case the stage area), but to draw your eye up to the canopy of leaves above. The SHED (Studio for Hands-on Experimental Design) team, led by myself currently includes second year students Benjamin Nourse, Aut Angpanitcharoen, Luisa Pires, Andrew Warwick and Prinka Anandawardhani Choesin. 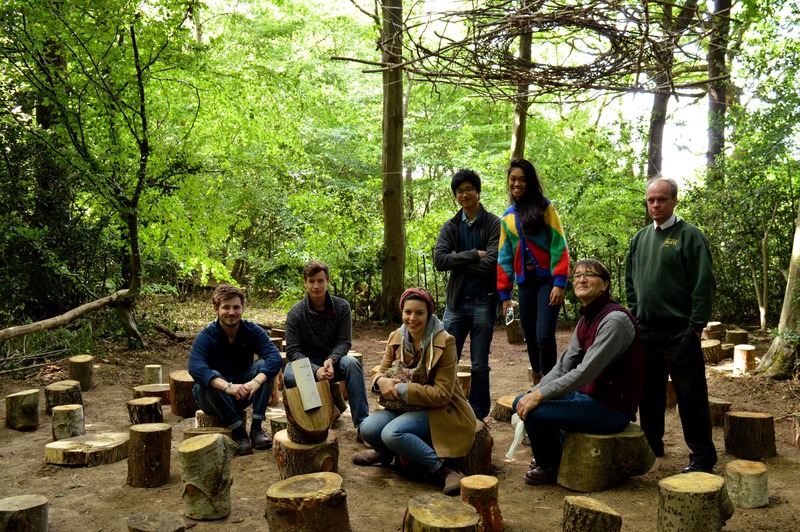 We all look forward to experiencing Billhook Nook Theatre throughout the seasons, and we encourage everyone else to do the same as it will soon be available as a bookable education space on campus. The theatre can be found below the new business school development near parkwood on campus, just look for the door. This project would not have been possible without the help of Creative Campus and Ian Bride, and we look forward to future projects together.